On September 8th Google announced a new search enhancement, Google Instant. Google believes that users read more quickly than they type, and thus they feel this enhancement will help users find relevant information faster. As with any change to the user’s search experience, an impact on search engine marketing (SEM) programs is expected. • Instant results: Relevant results displayed dynamically as the user types. • Predictive text: Predicts the remainder of the query as the user types (shown in gray text). • Scroll to search: Arrow key scrolls through predictions and results are updated for the user instantly. 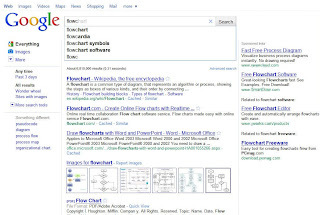 Here’s an example from Google that helps illustrates the concept. Expected to Change Keyword Volume and Mix - Since users will now be exposed to results before they finish typing their full queries, longer, more complex queries may receive less impressions and clicks as users see relevant results sooner. Therefore, if this shift occurs, it could have a significant impact on overall cost and ROI for paid search programs. Quality Score Likely to be Impacted - While Google has communicated that Google Instant will not change the way Quality Score is determined, any change to the way impressions are counted will certainly impact CTR, which is one of the largest drivers of Quality Score. Thus, if impressions change for an advertiser and click volume remains constant, Quality Score will be affected by changes in CTR. Not the Death of SEO –This isn’t a change to the core search ranking algorithms, but to the way it presents its search results. The fact of the matter is, though the details of how SEO is performed need to evolve in order to remain effective, SEO is still very necessary for brands who want to compete in the SERP. 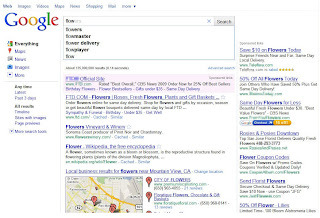 Makes Search Results More Competitive – Searchers see a SERP version for every character that they type into the search bar and the results on the ever changing SERP may affect their purchasing or browsing decisions. Could Change Keyword Targeting and Messaging– It’s likely that this will change the way users interact with search results. Two positions exist here. One states that it will make head queries more important, as results are visible for every keystroke. The other says this will increase the visibility of the long tail since users will need to refine their queries, using more long queries in order to find the content they’re really looking for. Will Likely Not Impact Mobile Search Significantly – There are columns saying that the limited real estate on mobile SERPs will make this even more important in the mobile realm. However, according to recent figures that Google released, voice search is 25% of Android queries, and that mode will never be affected by Google Instant, as it doesn’t require typing to input a query. As for other mobile users, the Google apps that are available are generally more user friendly than browser search, so it’s possible a large percentage of mobile users would not interact with Google Instant in a mobile browser.